He concentrates his practice in Economic Regulation, Consumer Protection and Antitrust. 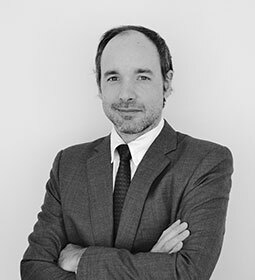 Mr. Barroilhet has more than 12 years of experience teaching and litigating in the areas of economic regulation, consumer protection and antitrust. He specializes on writing reports at law in complex matters that require economic and legal backgrounds. As an attorney, he worked in major cases defending the currier industry against Santiago’s International Airport and in class action cases representing consumers. Mr. Barroilhet has written substantially on class actions from a comparative perspective and he is an assistant professor at the Economic Law Department of the University of Chile Law School, where he regularly teaches microeconomics and other graduates courses on the field of economic regulation. Valenzuela, Amenábar y Errazuriz Abogados. University of Chile Law School. J.D., University of Chile Law School, 2004. M.A. Tax Law, University of Chile Law School, 2010. J.S.M. Stanford Law School, 2011. S.J.D. Georgetown University Law Center, 2017.